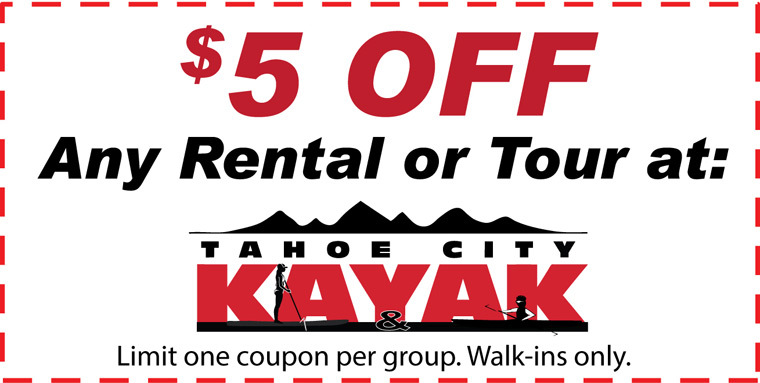 Stay tuned and check back for upcoming sales & promotions from Tahoe City Kayak for summer 2016. You might also want to check out our Facebook page for specific social media sales & promotions. Please read all rules & fine print for each available offer. Most offers are limited to one per group and are for Walk-in customers only.